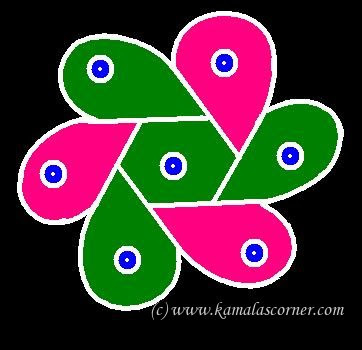 5 - 3 interlaced dots (Idukku Pulli) Kolam. 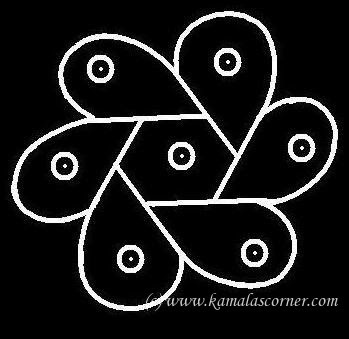 Start with 5 dots in the center and stop at 3 by putting interlaced dots at both sides and join dots as shown above. Join the remaining portion as above.